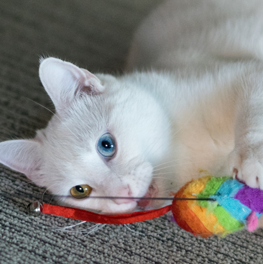 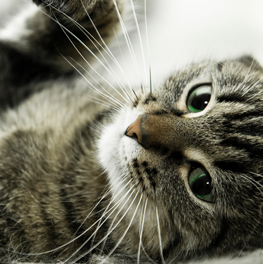 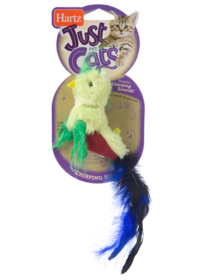 Versatile cat toy satisfies your frisky feline's natural instincts and encourages play! 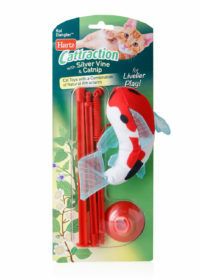 Bring the excitement of the wild outdoors into your home and watch your frisky feline wrangle the king of the everglades. 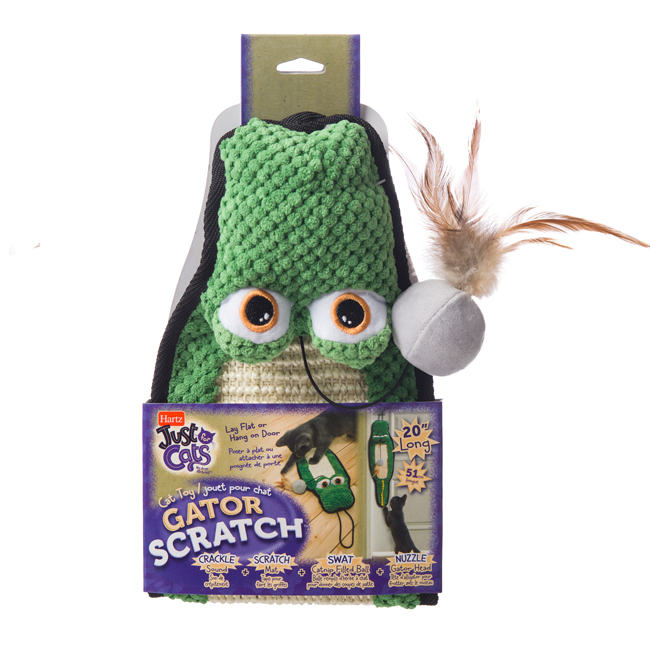 The Just For Cats Gator Scratch is a versatile toy that satisfies your cat’s natural instincts and encourages play. 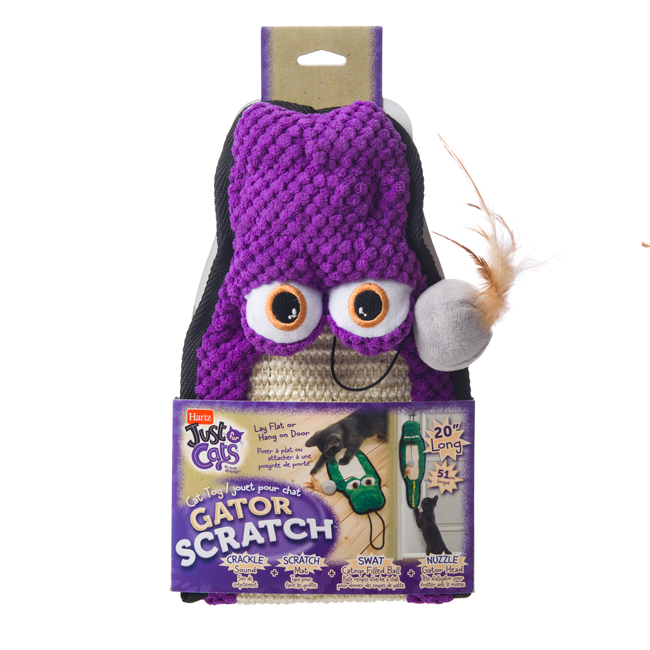 The textured, durable sisal material on the gator’s back reinforces positive scratching behavior to keep nails healthy and muscles moving after a long nap. 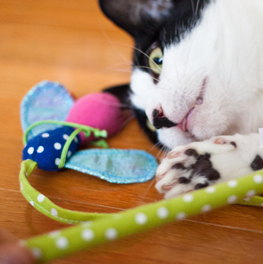 The loop at the base of the mouth allows for hanging on most doors to promote much needed stretching and rubbing to mark territory. 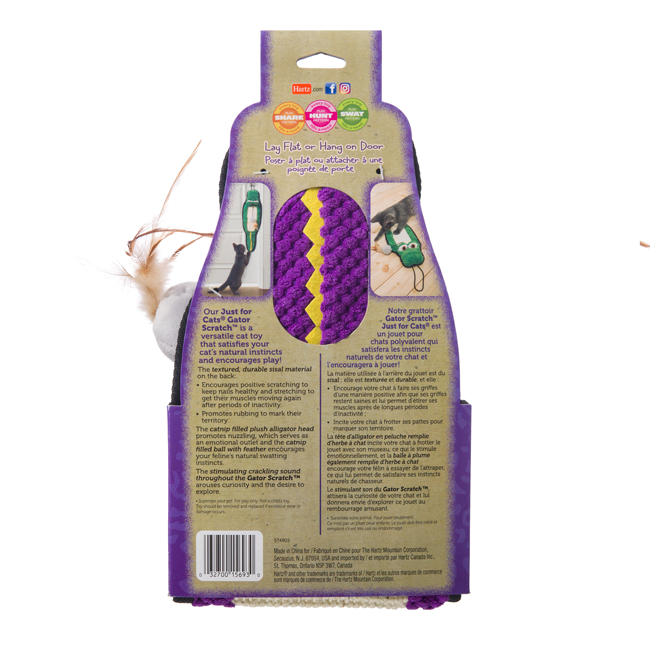 The soft, plush alligator head is animated with a friendly expression for those moments of comfort and security. 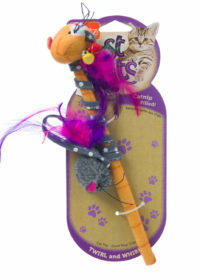 Plus, a suspended, catnip filled ball finished off with a feather is just waiting for your furry friend to step up to bat. 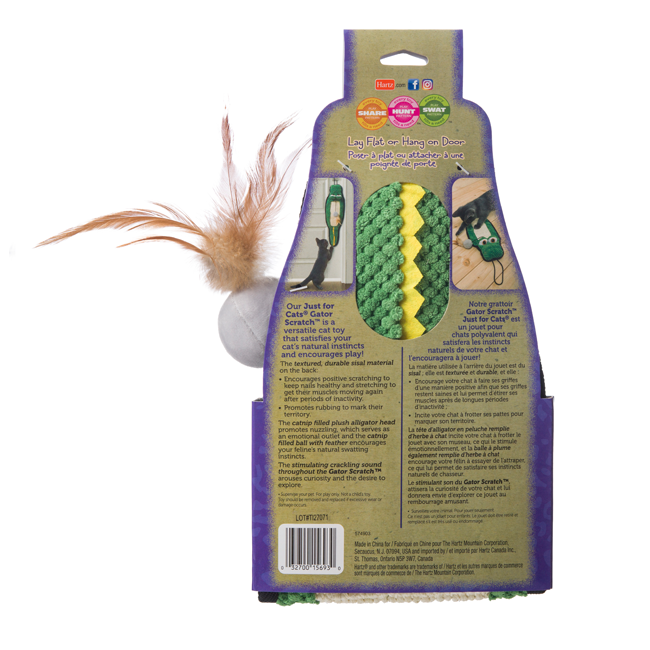 The stimulating crackling sound throughout the Gator Scratch arouses curiosity and will have your kitty coming back to explore. 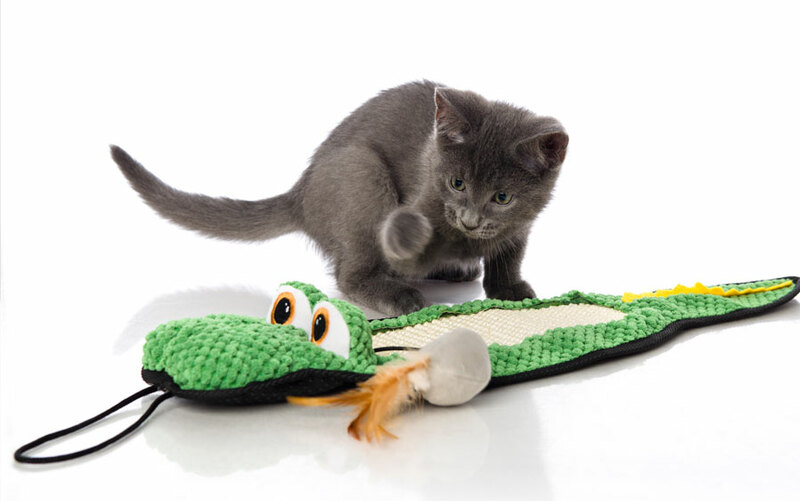 Later gator!